Part time resident of Charleston SC, celebrity Bill Murray, has been known to wear many hats, as part owner of two baseball teams, including Charleston’s River Dogs, I assume he wears the occasional ball cap. In March of 2011 while dining at Peninsula grill, he donned a chef’s cap when scheduled celebrity chefs pulled a no show. 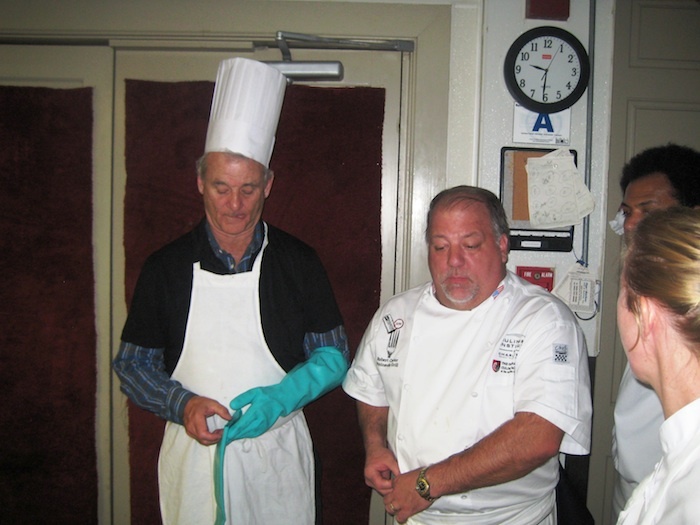 According to the city paper article he saved the day and really helped out Peninsula grill chef Bob Carter. Apparently the two must have bonded that night because according to the owner of the retro gas station on the corner of Rutledge and Mt. Pleasant Streets in Wagener Terrace suburb of Charleston, the pair have leased the building to open a restaurant. The famous actor is no stranger to F&B, he is a partner with his brothers in Murray Bros. Caddy Shack, a restaurant located near St. Augustine. Although still in the rumor stage, this news, on the heels that Biggies is evolving from restaurant to gourmet grocery store, gives Wagener Terrace residents something new to look forward to!